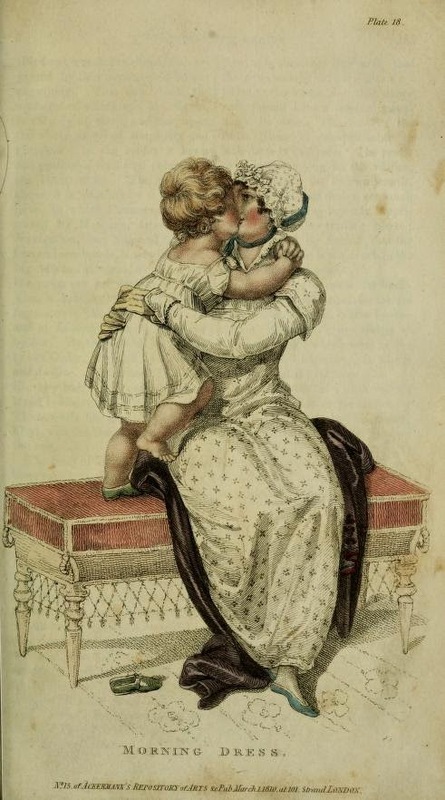 Today’s post comes from the March 1810 edition of Ackermann’s Repository of Arts. A plain slip of white gossamer satin, with short sleeves and square bosom. A Circassian robe of brown silk net, the meshes terminated with white or gold beads; edging and tassels of the same. Head-dress, á la Diana, of pearl; necklace, armlets, &c. &c. of the same. Slippers of white satin, with gold clasps and bindings. French kid gloves below the elbow. Fan of white crape, with gold Persian border. A morning robe of spotted of flowered Moravian muslin, with high-winged collar, edged with scalloped lace. 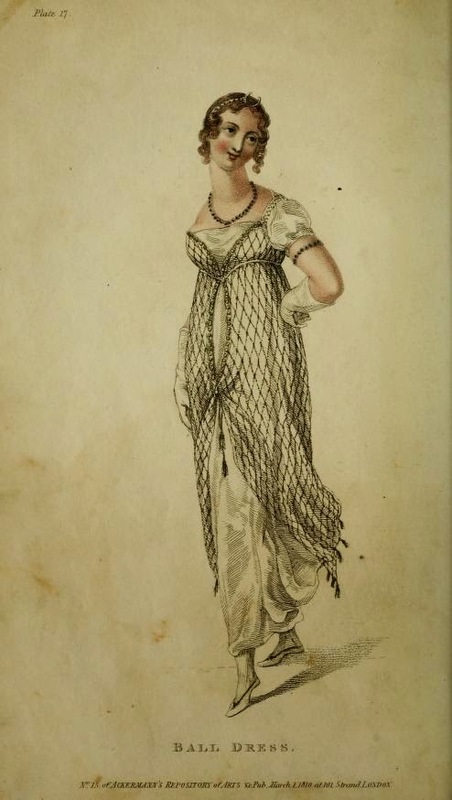 Bosom formed of alternate stripes of lace and muslin. A matron hood of lace, tied across the crown with grey ribbon. Morning slippers of grey kid, trimmed with swandown. An occasional scarf of French silk, with rich flowered border and ends.